MicroPro Sienna Treated Wood 2x4 drilled rails are precision drilled for insertion of the aluminum balusters in the Veranda Deck Rail and Stair Rail Kits. The six-foot rails are pressure treated for long-term performance outdoors. Provide safety and peace of mind around your pool, garden, yard and more with our standard aluminum fencing system, Aquatine. Aquatine is a sophisticated component-based fencing system that allows for versatility and durability in its appearance and application. Assemble strong and bold pickets, add a gate and easily install on hard or soft surfaces. Keep any outdoor area of your home well protected and looking sharp. The clean and modern profile of the Aquatine fencing system blends nicely with any outdoor area to ensure that your view is left unobstructed. 2 x 4 x 6' Treated Wood Drilled Rail MicroPro Sienna Treated Wood 2x4 drilled rails are precision drilled for insertion of the aluminum balusters in the Veranda Deck Rail and Stair Rail Kits. The six-foot rails are pressure treated for long-term performance outdoors. 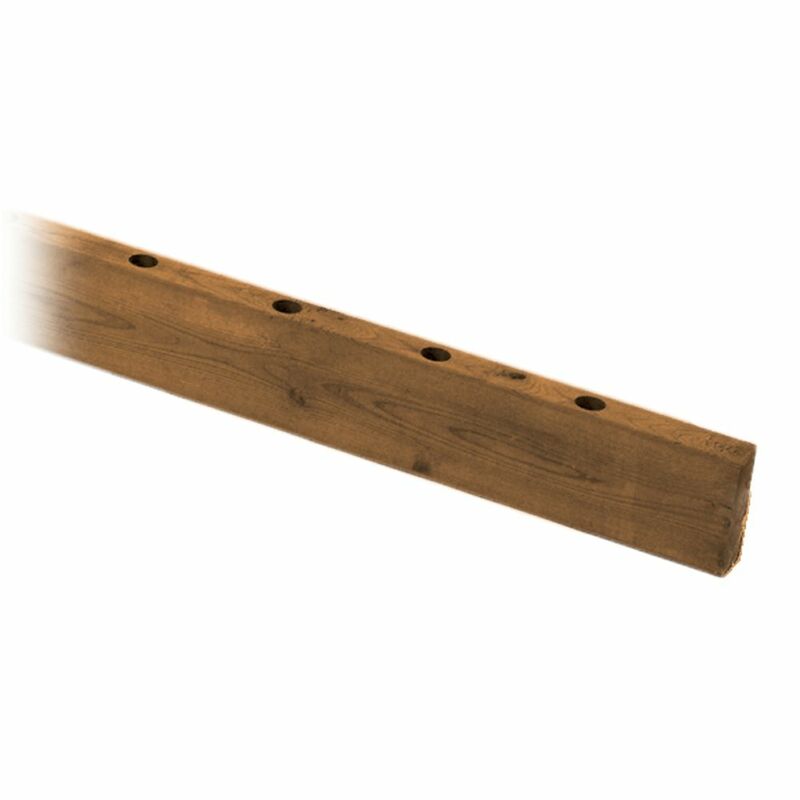 2 x 4 x 6' Treated Wood Drilled Rail is rated 3.0 out of 5 by 2. Rated 5 out of 5 by Bwstevens from So quick! The only tip I would give before you start cutting (if necessary) is to consider the spacing at each end....you may want to cut a little off both ends rather than all of it off just one end. The ballisters will look properly spaced to your posts this way. Rated 1 out of 5 by nitramd from Don't buy this! A waste of money and even worse time! As the other reviews have said it is all twisted and warped. Impossible to work with. Time to find a new saw mill Home Depot!